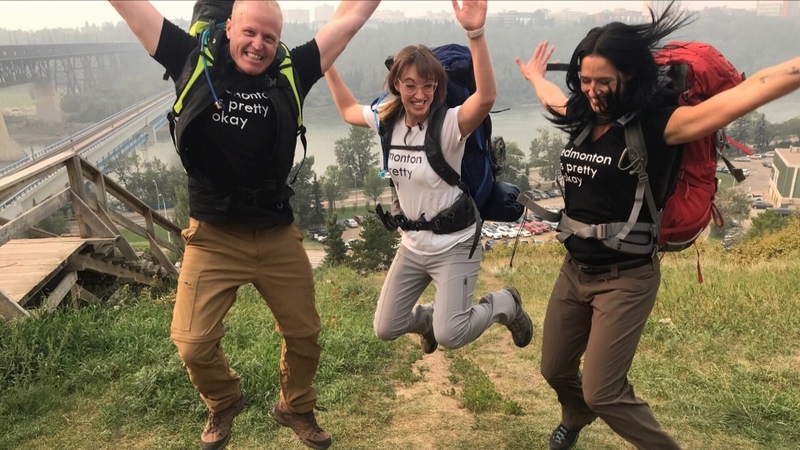 Four friends in Edmonton are gearing up for a “life-changing” adventure. They are training for a 70-kilometre hike through southern Ethiopia to help raise money for water infiltration systems. For Jeffrey Hansen-Carlson, this will be his third trip to the African country – but this time, he will have some company. “I’m pretty fortunate to have friends who trust me enough to dive into something like this,” he said. The four are partnering with HOPE International to raise money to help bring clean water to Chano Dorga, a village with 4,000 people. Currently, villagers need to travel two kilometres to a river where people bathe, wash their clothes and clean animals. “Raising the money and seeing the projects be executed is a really important part of my life,” Hansen-Carlson said. He believes it is important to build relationships with those he helps. “I’ve sat in some huts with elders and smoked stuff and I don’t know what it is, but they liked it. We made a connection. It was on their turf and it was an experience that mattered as much to them as it did for me,” he said. Three friends will be joining Hansen-Carlson in the January 2019 trek. “I think when you’re presented with an opportunity, you just have to take it,” Kaylee Hanes said. Hanes said the trip is outside of her comfort zone but is excited about the chance to make a difference. “When you give people water infrastructure, that changes their lives. You see the results and you know you’re making a difference, and I think that’s really drawn me to it,” she explained. The group is accepting online donations and is fundraising in unique ways: a paint night event and t-shirt sales. 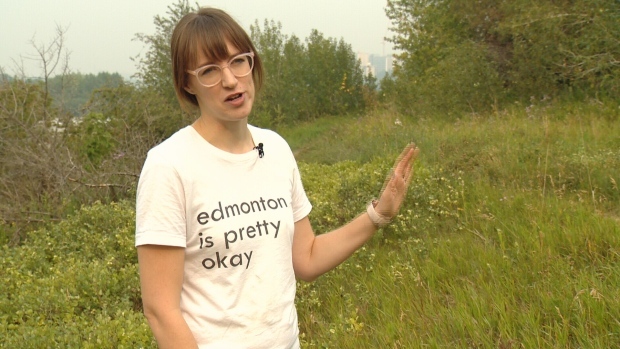 Vanessa Lancaster came up with the slogan “Edmonton is pretty okay” and decided it would make for a fun t-shirt that’s fitting for their adventure. To learn more about their fundraising efforts, visit their website here. 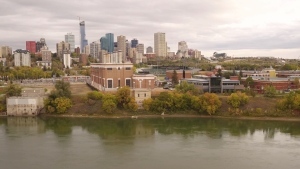 These Edmontoniansare training for a 70-kilometre hike through southern Ethiopia to help raise money for water infiltration systems.